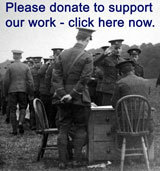 Each of the links below takes you to information about particular medals which would have been awarded to King's Own soldiers. Each page includes particular information on the involvement of the regiment. Details of the medals in the museum's collection. Can you help find the museum's 'missing' medals?